11．原中勝征, 横倉義武, 石井正三「JMAT、かく奮闘せり （東日本大震災の真実）」正論. 2011（476）：238-248. 13．石井正三「『東日本大震災』で初動したJapan Medical Association Team（JMAT）活動」日本医師会雑誌. 2011;140（6）：1259-1267. 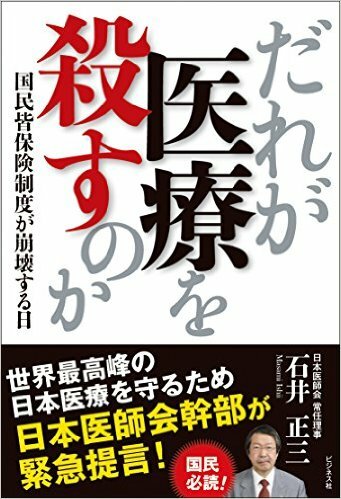 14．石井正三「訓練で流された情報SPEEDIがなぜ閉ざされたのか―石井正三世界医師会副議長（ 特別インタビュー 医療特集「 県民の命を守る!」本県[福島県]医療の現状と課題）」財界ふくしま. 2011;40（7）：80-83. 15．石井正三, 小川明「特別インタビュー 石井正三・日本医師会常任理事に聞く 5年前から準備したJMAT、約1000チームを展開 （特集 始まったばかりの災害医療）」JMS. 2011（173）：5-8. 28．青木重孝, 五十嵐隆, 石井正三. 炉辺閑話 2013. 日本医事新報. 2013（4628）：52-143. 32．石井正三「被災地でのJMAT活動 （日本小児科学会企画戦略委員会災害対策ワーキンググループ報告 東日本大震災が岩手,宮城,福島の三県の小児と小児医療に与えた被害の実態と,それに対する支援策の効果と問題点についての総括）」日本小児科学会雑誌 = The journal of the Japan Pediatric Society. 2014;118（12）：1800-1802. 33．石井正三, 井上忠雄「SPECIAL Interview 地域の住民と世界に向き合う日本最大のNGO. セキュリティ研究」2014;17（6）：8-15. 34．永田高志, 王子野麻代, 寺谷俊康, 長谷川学, 石井正三「災害時の指揮命令系統の構築　インシデントコマンドシステム（ICS）緊急時総合調整システムの紹介」杏林医学会雑誌. 2015;46（4）：275-279. 39．石井正三, 王子野麻代, 永田高志「福島原発事故の健康状況 2015, 6） 医療機関・組織による震災復興の取り組み」Progress in Medicine. 2015;35（5）：835-841. 41．改訂第2版 DMAT標準テキスト　各組織の対応　日本医師会. へるす出版; 2015. 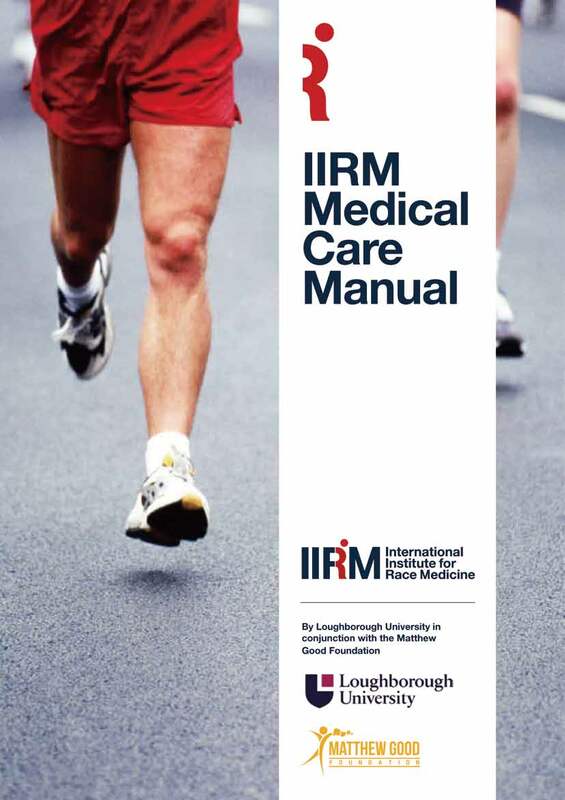 1．Ishii M. The Continuing Medical Education Program of the Japan Medical Association. JMAJ. July-August. 2008;41(4）:219-225. 2．Ishii M. The Continuing Medical Education Program of the Japan Medical Association. WMJ. 2009/2:28-29. 3．Ishii M, Nagata T. Emergency Medicine in Japan. JMAJ. July-August. 2009;52(4）: 211-213. 4．Ishii M, Hamamoto M. Bioethics and Organ Transplantation in Japan. JMAJ. September - October. 2009;52(5）: 289-292. 5．Subhachaturas W, Ishii M. 1st International Summit on Tobacco Control in Asia and Oceania Region. WMJ. 2010/2;149-150. 6．Ishii M. Report of the 26th CMAAO Bali Congress WMJ. 2010/2;25. 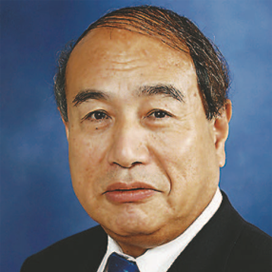 7．Ishii M, Tsuruoka H. CMAAO, Over Fifty Years of History and Future Outlook. WMJ2010/4:70-72. 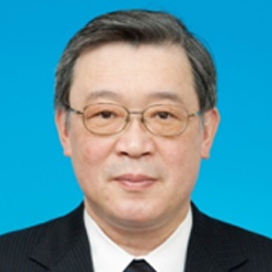 8．Ishii M. Recent and Future Activities of the Japan Medical Association as a Member of the World Medical Association. JMAJ. March-April, 2010;53(2）: 86-90. 9．Ishii M. Global Health Activities of the Japan Medical Association. JMAJ. March-April.2010;53(2）: 65-73. 10．Ishii M, Hamamoto M, Tsuruoka H. JMA Perspectives on the Universal Health Insurance System in Japan. JMAJ. March-April. 2010, 53(3）: 139-143. 11．Ishii M, Hayashi N. Workers’ Accident Compensation Insurance and CompulsoryAutomobile Liability Insurance in Japanese Public Medical Insurance System. JMAJ.September-October. 2010;53(5）: 273-278. 12．Ishii M. Task Shifting - Recent updates in Japan. JMAJ. July-August. 2011;54(4）:219. 14．Ishii M. Japan Medical Association Team's (JMAT） First Call to Action in the Great Eastern Japan Earthquake. JMAJ. May-June. 2011;54(3）:144-154. 15．Ishii M. Japan Medical Association Team's (JMATs） First Operation: Responding to the Great Eastern Japan Earthquake. WMJ. 2011;57(4）:131-140. 16．Ishii M. Fukushima Nuclear Power Plant Accident Caused by Gigantic Earthquake andTsunami - Healthcare Support for Radiation Exposure. WMJ. 2011;57(4）:141-144. 17．Ishii M. Japan Medical Association's(JMAT） Activities and Nuclear Accident in Fukushima after the Great East Japan Earthquake. JMAJ. January-February. 2012;55(1）:19-20. 18．Ishii M. Special feature: Should medical accidents be judged in criminal court? TheSignificance in Publishing This Special Feature. JMAJ. March-April. 2012;55(2）:126-127. 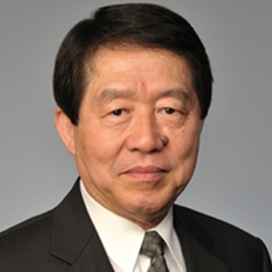 19．Ishii M. Report of the CMAAO Secretary General. JMAJ. November-December. 2012;55(6）:435-436. 20．Ishii M. Works in progress after the 2011 Disaster. JMAJ. Sep 2012;55(5）:426. 21．Ishii M. The great East Japan disaster. Disaster Medicine Public Health Preparedness. Mar 2012;6(1）:7. 22．Ishii M. DRG/PPS and DPC/PDPS as Prospective Payment Systems. JMAJ. July-August. 2012;55(4）:279-291. 23．Ishii M. UNESCO Bioethics conference held in Israel. JMAJ. July-August. 2012;55(4）:352. 24．Ishii M. Japan Medical Association Team's (JMAT） Activities and Nuclear Accident inFukushima after the Great East Japan Earthquake. JMAJ. January-February. 2012;55(1）:19-20. 25．Ishii M. Special Feature: JMA Symposium on Health Policy "Disaster Medicine and Medical Associations" Activities of the Japan Medical Association Team in Response to the Great East Japan Earthquake. JMAJ. Sep - Oct. 2012;55(5）:362-367. 26．Ishii M, Nagata T, Aoki K. Japan Medical Association's Action in the Great Eastern Japan Earthquake. World Medical and Health Policy. 2012;3(4）:1-18. 27．Nagata T, Kimura Y, Ishii M. Use of a geographic information system (GIS） in the medical response to the Fukushima nuclear disaster in Japan. Prehospital and Disaster Medicine. Apr 2012;27(2）:213-215. 28．Ishii M. Overview of Japan Medical Association Team (JMAT） for Disaster Relief. JMAJ. January-February. 2013;56(1）:1-9. 29．Ishii M. Great East Japan Earthquake —Before and after—. JMAJ. March-April. 2013;56(2）:104-111. 30．Ishii M, Nagata T. The Japan Medical Association's disaster preparedness: lessons from the Great East Japan Earthquake and Tsunami. Disaster medicine and public healthpreparedness. Oct 2013;7(5）:507-512. 31．Ishii M. Recent Activities of the World Medical Association about Health Databases.-Development of the Draft of the Policy Statement and Future Revision Process- JMAJMarch-April. 2014;57(2）: 61-64. 32．Yoshida M, Ojino M, Ozaki T, Hatabaka T, Nomura K, Ishii M, Koriyama K, Akashi M.Guidelines for Iodine Prophylaxis as a Protective　Measure: Information for Physicians　JMAJ. May-June. 2014;57(3）:113-123. 33．Ishii M. Humanitarianism and the JMA - In memory of Dr. Albert Schweitzer and Dr. Taro Takemi JMAJ. January-February. 2014;57(1）:38-39. 34．Ishii M. Japan Medical Association. JMAJ. July-August. 2014;57(4）:249-252 . 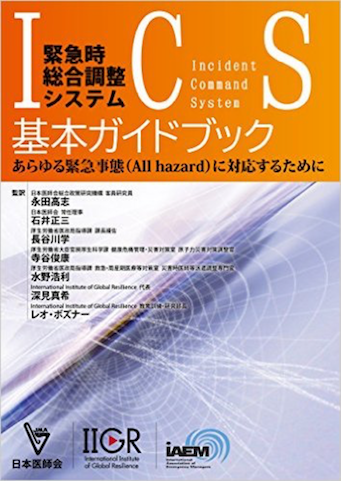 35．Hatanaka T, Yoshida S, Ojino M, Ishii M. The Communication of Information Such asEvacuation Orders at the Time of a Nuclear Power Station Accident: -Recommendations for responses by the national government and electric power utilities to the "InformationDisaster". JMAJ. December. 2014;57(5-6）:293-319. 36．Ishii M. Humanitarianism and the JMA: -In memory of Dr. Albert Schweitzer and Dr. Taro Takemi. JMAJ. January-February. 2014;57(1）:38-39. 37．Ishii M. My thoughts on celebrating the 30th anniversary of the Takemi Program. JMAJ. January-February. 2014;57(1）:58-59. 38．Ishii M. Recent Activities of the World Medical Association about Health Databases:-Development of the Draft of the Policy Statement and Future Revision Process. JMAJ.March-April. 2014;57(2）:61-64. 39．Ishii M. Japan Medical Association. JMAJ. Jul-Aug. 2014;57(4）:249-252. 40．Ojino M, Ishii M. Reconstruction of the Radiation Emergency Medical System From theAcute to the Sub-acute Phases After the Fukushima Nuclear Power Plant Crisis. JMAJ.January-February. 2014;57(1）:40-48. 41．Nagata T, Lefor AK, Hasegawa M, Ishii M. Favipiravir: a new medication for the Ebola virus disease pandemic. Disaster Medicine and Public Health Preparedness. Feb 2015;9(1）:79-81. 42．Nagata T, Yoshida S, Hasegawa M, Ojino M, Murata S, Ishii M. International MedicalTeams of the Japan Medical Association: A Framework for Foreign Medical Teams.Disaster Medicine and Public Health Preparedness. Oct 1 2015:1-2.